Just as with a uniformed workforce in other industries, a hospitality establishment equipping its staff with the proper kit is an essential priority for business owners to consider. Whether it’s concerning back or front of house staff, neglecting to enforce wearing the proper workwear can be detrimental to success. But why is it important for back of house staff to wear the right kit in the kitchen? 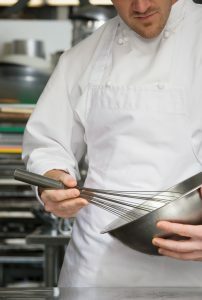 The importance of wearing the correct attire in the kitchen comes down to three key aspects: hygiene, comfort and professionalism. Kit such as gloves, hats and hairnets prevents contaminants like dirt and hairs encountering any of the food. Without the proper kit that enables mandatory hygiene maintenance during food preparation, the risk of spreading disease and even allergens are much greater. Long shifts in a high temperature environment require the ideal uniform sized correctly and made of materials that are not only comfortable but won’t irritate the skin after long use, as well as being loose enough to provide proper aeration. Not only can uncomfortable workwear be harmful to workers over a long period, but this discomfort may also draw focus away from their work, affecting the overall quality of the food they prepare, thus making a negative impact on a customer’s dining experience. Professionalism is a varied aspect that differs depending on the operator. However, it is a universal truth that the condition of the apparel worn by staff represents their brand. 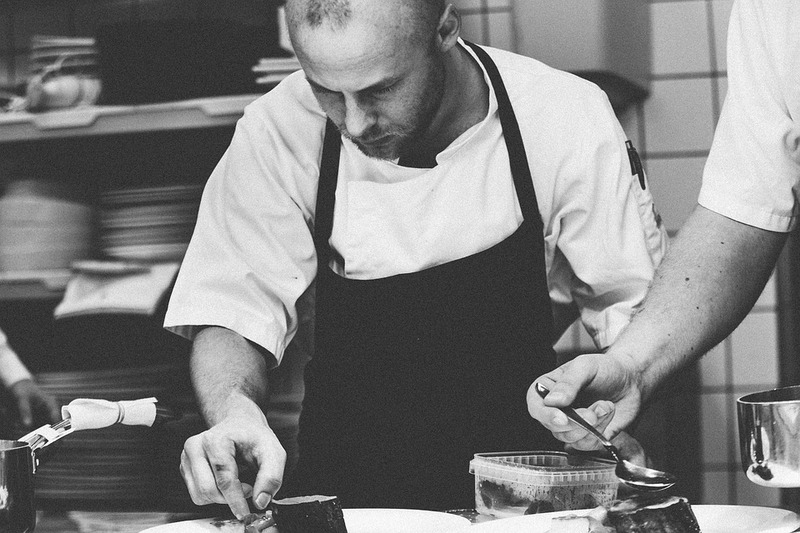 If a restaurant chef is spotted wearing stained jeans and a tattered shirt whilst working, it gives off the impression that the restaurant doesn’t enforce policies that chefs maintain a clean and professional appearance. That impression made from a lack of professionalism and hygiene translates to the question “if they don’t put effort into their uniform, what chance is there they’ll put effort into our food?”. In turn, this will damage the operator’s long-term reputation and its ability to bring in revenue. And why is it the same for front of house staff? The importance for staff to wear a uniform in hospitality is equal to that of chefs wearing the proper kit in the kitchen. A staff member putting on a freshly cleaned uniform opposed to their street clothes is much more hygienically sound. 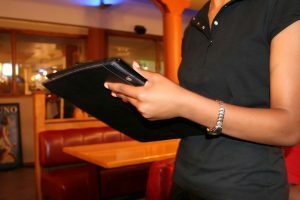 If waiting staff have been at college or another job during the day before an evening shift, the clothes they’ve worn may have picked up all sorts of bacteria and potential viruses over the course of the day. Customers understand this, making a front-of-house staff member’s first impression all the more important. Whilst waiting staff may not be directly involved with preparing meals, a uniform is an essential part of a customer’s dining experience. 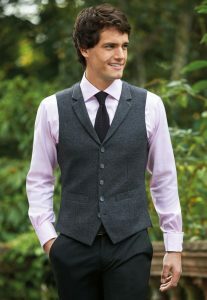 A good-looking attire is a representation of the quality of the service being offered. It signifies structure, organisation and etiquette, carrying over to a diner’s expectations of the meal they’re about to receive. This elevates their experience and increases the chance of repeat business. What’s the new trending style then? Casual or smart? We’re seeing an increased emergence of a combination of the two: smart casual, featuring uniforms of dominantly dark colours. Customers are being served by more waiting staff donning black trousers with t-shirts of charcoal grey, navy blue and black colours. Along with hiding spills and stains, these uniforms provide a modern chic look that is clean whilst maintaining functionality, making these perfect with the street food and casual dining trends currently popular in the industry. For restaurants and hotels that wish to steer a bit further into smart attire for their staff, front of house clothing ranges such as those by Oliver Harvey can accommodate such a preference. Upholding the current trend for darker colours, vintage flat caps, stylish braces and waistcoats from the Herringbone range add to providing an industrial, contemporary feel to your server’s appearance, as well as durable style. 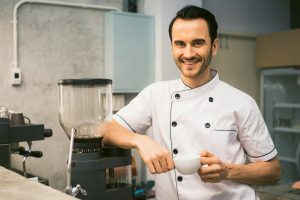 Just as with a uniformed workforce in other industries, a hospitality establishment equipping its staff with the proper kit is an essential priority for business owners to consider. Whether it's concerning back or front of house staff, neglecting to enforce wearing the proper workwear can be detrimental to success.